As Western New York’s only Aqua Mix authorized contractor, we are trained to properly prepare and apply the grout colorant. Our system correctly prepares your grout to accept the colorant and properly bond to avoid any peeling in the future. The epoxy based colorant seals your grout lines to ensure long lasting protection against stains, mold and mildew. 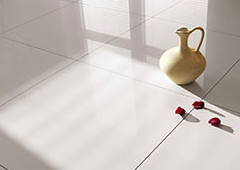 The results are consistently colored grout lines that are epoxy tough and elegantly beautiful. We are certified by several sealing manufacturer’s and we know what sealer is best for your surface. We offer a range of sealers that are neutral in color to ones that will actually enhance the color and richness of your natural stone floor. The floor sealers can be impregnating, topical or a combination of both. These floor sealers are water, solvent or polymer based. We have decades of fixing too many problems to list. If your surface isn’t what you expected, give us a call. We have saved many floors, showers and countertops from being torn out.